Powder coated cages are for front room appearance. 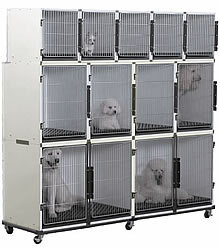 The powder coated cages are pleasant to the eye and designed to make the best impression on your customers. Assembly required. Handsome, virtually indestructible built 20 gauge galvanized steel to prevent rusting. Electro-coated white. DOES NOT INCLUDE THE DIVIDERS (ED-F630D) FOR THE F630 CAGES. YOU WILL NEED 2 DIVIDERS IF YOU WANT TO PURCHASE THEM. THE DIVIDERS WILL MAKE THE F630 CAGES 4 CAGES IF NEEDED. 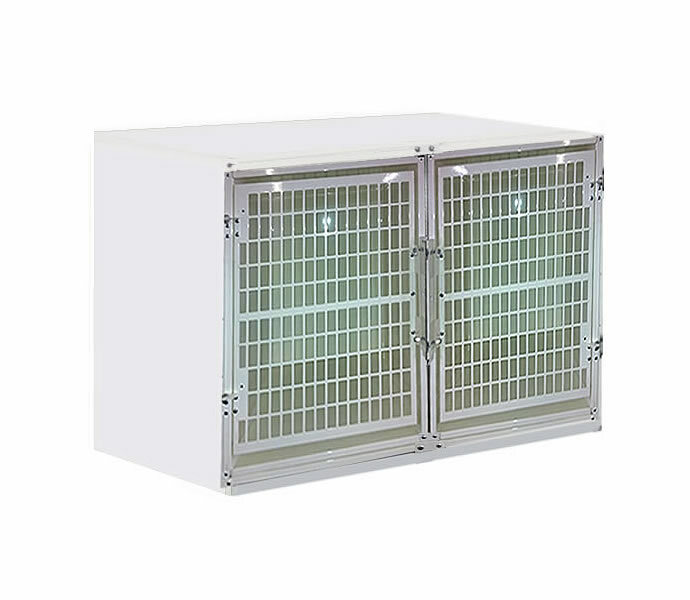 Includes: Floor Trays and Floor Grates for each cage and a Wheeled Frame.